Compromise is at the heart of American politics; yield in order to gain. Politicians and citizens compromise because self-interest demands that they do so. But at times they also compromise because they come to see the other person’s point of view. Or as Obama likes to put it, they stand inside the other guy’s shoes. This doesn’t necessarily mean, as Bill Clinton was so fond of saying, that I feel your pain. We don’t have to go this far to see the other person’s point of view, although sometimes we might. We just have to be willing to engage in an imaginative act that allows us to step outside of our comfort zone. Functioning democracies depend on this ability. Without it they descend into gridlock, civil strife, and even civil war. However, sometimes we can’t empathize with others. Not, for example, because they are hardened criminals whose ways are simply unacceptable, but because the ways in which other people understand and experience the world are beyond our powers of imaginative reconstruction. Our failure here is not due to a lack of good will. 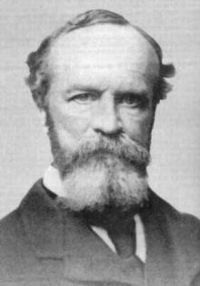 It relates to a distinction that the philosopher William James makes in his essay, “A Will to Believe,” between two kinds of hypotheses: living and dead. That the earth is round is a living hypothesis for most every American in 2010. That the earth is flat is a dead one. This was not always true. For much of human history the opposite was the case. Today there are those for whom God is a living hypothesis, and the Deity is a vital and accepted feature of their experience. But others, convinced atheists, can make no connection with this hypothesis. They do not experience God as a living hypothesis and no amount of arguing or cajoling will change their minds. Agnostics on the other hand experience God as a living hypothesis, but they also experience the notion that there is no God in a similar fashion. They have what James calls an option: a choice between two living hypothesis, although it is possible that they may never choose. How then does this relate to Obama and health care? Obama is a savvy politician, who is both politically and philosophically pragmatic. This doesn’t mean that he is without values. It means that he thinks about their realization in terms of what will work. And this may mean modifying his goals, compromising if necessary on his goals, in order to create some reform. Obama is also a storyteller, one who understands that storytelling requires being able to see different points of view. As a storyteller he appreciates the importance of empathy in the go of human life. It wasn’t accidental that he spoke of it when he nominated Judge Sotomayor. And he has also spoken about empathy as a lesson that he learned from his mother. That he can listen and stand inside the other guy’s shoes is one of his strengths as a storyteller and as a politician. Empathy, no doubt, can be an important tool in a politician’s toolkit. But it can also be an Achilles heal. Obama made several tactical judgments on how best to pass health care legislation. One of them, however, was not actually a tactical judgment, although it could be read this way. It was actually an assumption. He believed (at times) that his use of empathy would be reciprocated by the opposition. Obama has an unusual ability to empathize with others. It is natural for him to take the perspective of others. He assumed too much, or had too much faith, in the opposition possessing a comparable skill. Although he certainly understood that powerful special interests would be aligned against him, he appears to have forgotten how James’s notion of live and dead hypothesis could come into play. There are forces out there, forces for whom the idea that the federal government can be a force for good is a dead hypothesis. The birthers and teabaggers fall into such a camp. It is not that they merely have firm convictions or values. It is that the hypothesis that the federal government can be a force for good is simply not a part of their repertoire. It is a dead hypothesis. There are Republicans in Congress who believe this. And there are also Republicans in Congress who need to pretend to believe it so that they can get reelected. A fatal brew for a reformist president whose natural inclination is to try to compromise with the opposition, and who was once convinced that a cooperative bipartisan approach to health care would carry the day. It’s not that Obama doesn’t know this. Yet he has been hesitant to acknowledge the limits of empathy and compromise, not just intellectually but perhaps more importantly emotionally. The paradox here is that recognizing the limits of empathy and compromise may very well lead to substantial movement on legislation that Obama supports. The savvy politician in him knows this. It’s going to have to bring the storyteller along, at least for now. There will always be times for tales. Most Americans generally shy away from absolutes. They don’t like to think of themselves as driven by dead hypothesis. Most Americans are more like agnostics than atheists or the religious when it comes to the federal government, ready to shift one way or the other depending on circumstance. They will become (temporary) believers if they are given something that they believe will work. Give them a reason to believe that the federal government can be an active and helpful feature of their lives and they will take it. Give them a reason to believe the opposite, and they will, at least for the time being. Regarding health care, Obama’s rhetorical task is clear. He must help make (temporary) believers of the agnostics with regard to the federal government. You said about the “birthers” and “teabaggers,” “it is not merely that they have firm convictions.” They have none. This is an expression of pure nihilism. It is hopelessness and powerlessness. There are no convictions to a negation, it is simply what it is, a negation—and the definition of value precludes this kind of retrograde activity. The problems here are philosophical, I agree, but there is a limit to philosophy as well, and when one strays too far beyond its horizon of conviction, of the statement of some coherent position, then one has strayed into the twilight of nihilism. And there is just nothing there, no particular landmarks. One should always point this out, rather than agreeing with those who do this and then claim that they are standing on firm ground, that they still have values (they mean in the everyday sense, which, sure, they do), when in fact in the debate under discussion they have nothing to offer. Only heckling. Obama knows this, but you seem to be struggling with it.